How to Delete SingleParentMeet Account :- SingleParentMeet is a largest online dating website that is specially design for Single mom and single dad. The website lets its registered user to create profile, search other members profiles, send video or audio greeting and sent flirt emoticons. We have recently received some comments from our website readers that they want to delete their account from SingleParentMeet website permanently. After doing some research on this topic that why users are deleting their account from SingleParentMeet website we discovered that many users who are deleting their account from website are either receiving newsletters or mails from SingleParentMeet website which is making their inbox look spammed and other members say that they are already found their partner through this site or they are using different social or dating website to chat or flirt with single people. If your reason of deleting this account is email spamming then we will recommend that you can either mark the mail as spam while opening your mail or you can unsubscribe from their newsletter by clicking unsubscribe button given at the bottom of the mail you received. If your reason is other than i will guide you step by step method on how to delete your SingleParentMeet Account. SingleParentMeet site was launched in 1st August 2002 and it is one of the best online dating website for Single Parents that can be accessed worldwide. Currently there are more 50,000 unique visitors accessing the website and 1000 of new profile are added each day. 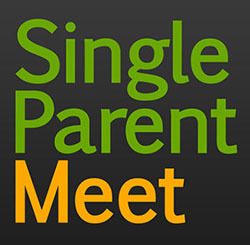 Go to the following url http://www.singleparentmeet.com/ and login your account. After you log-in to your account click on SETTINGS link which is located in top right side of the page. Now click on MY ACCOUNT link on the drop down page. Now locate the section ACCOUNT STATUS and then click on link VIEW ACCOUNT STATUS. Once you click on the link you will be redirected to account status page here click on link MORE ACCOUNT STATUS CHANGES and then click on REMOVE MY PROFILE. Answer simple and short question to delete your account. For more information and updates on How to Delete SingleParentMeet Account stay updated to this website. I like to delete single parent mate + 1. I want my account deleted please…I can’t figure out how to do it, i found someone thank u!